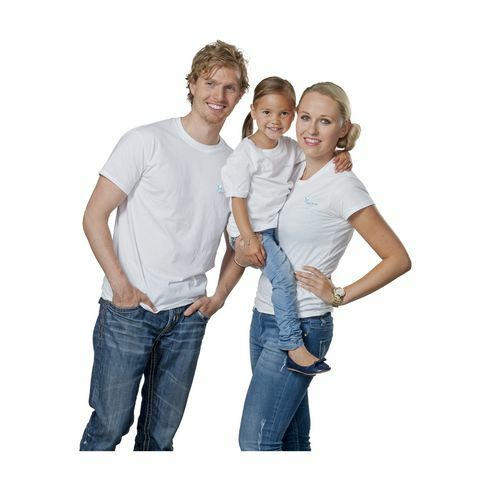 Children's T-shirt from the brand Gildan ~ 100% pre-shrunk cotton jersey excluding heather colours (90% ringspun cotton/10% polyester) and grey (35% cotton/65% polyester) ~ white: 144 g/m² and colour: 153 g/m² ~ double needle hems ~ right angled sleeves ~ reinforced seam from shoulder to shoulder. Available sizes: XS (104/110), S (110/116), M (116/134), L (140/152) and XL (164/176). Available in a men's model (item 3316/3317), a ladies model (item 3318/3319) and a child's model. These T-shirts can be ordered in any combination.